Blog Posting takes time (even when the blogger has lazily opted for less substance and more pictures) and time has been tight lately. Well, for one, my day job has been perking at an elevated stress level of late and I find that I am noticing the Xanax commercials more than usual. A week long connection issue on my aging Dell gave me fits until this morning (I hope) when I figured out that there were 5+ years of cached java applets hanging around on my hard drive *perhaps* causing browser dementia. Additionally, I have the usual over-reaching active home project list (Note to Mrs cohutt: It isn’t chaos, it is 23 separate projects being executed from memory). But the real reason is, after months of pushing ahead to get the “garden infrastructure” in place (garden infrastructure sounds really important and of substantial scale doesn’t it? ), the yield from the garden is coming in at a rate that is wearing me out. Yesterday evening I turned another 50 fat jalapenos into 100 cheese and bacon stuffed “poppers”. Last weekend another dozen quarts of sauce plus several pints of salsa got put on the pantry shelves. Tonight I experimented with a different processing method and a large batch of tomato paste is on the stove. 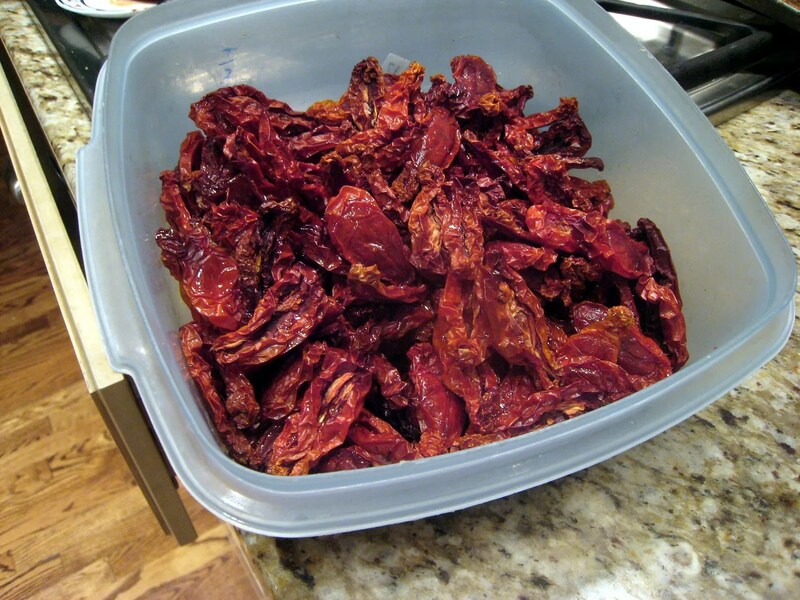 Romas were slowly dehydrating in the convection oven on 3 different days this week and another 25 lbs are in the sunroom awaiting their mummification. The lima beans are coming in at a trickle now but the floodgates are about to open. I’m not complaining, this is what I told myself I wanted when I set out on this path 2 years ago. So far it still holds my interest and while we are still early in the learning curve, we have gotten much better at it in a very short time. Anyway, that’s my pontification for the evening. If the internet connection stays reliable, my posting pace should get back on track. ← I go away for a week….. Absolutely beautiful harvest. Congrats, I too find a much needed respite from work/stress in the garden. Trying to make plans for my harvest is another challenge all together. 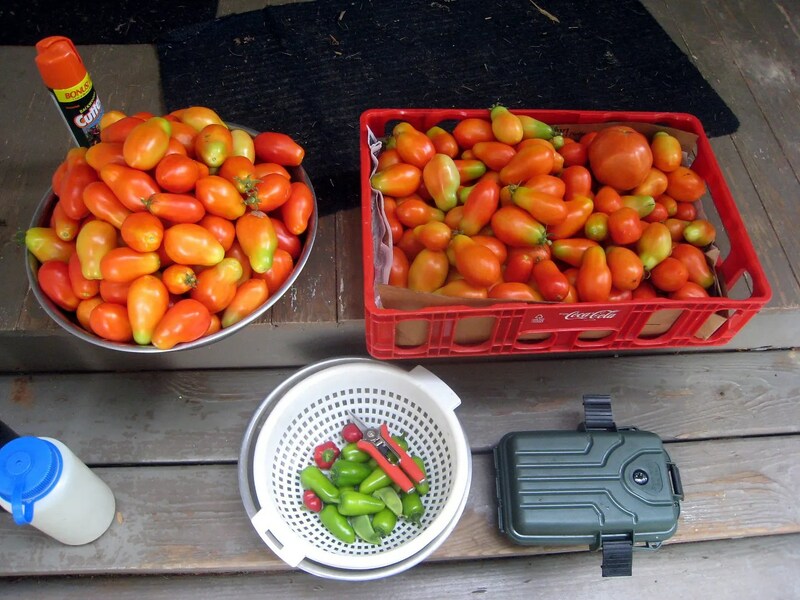 I’ve only got about 25 plants in containers but its tough to keep up with the harvest this time of year. I just posted about my pickled sport peppers. Are any of my projects on your list of 23? I am thoroughly impressed. 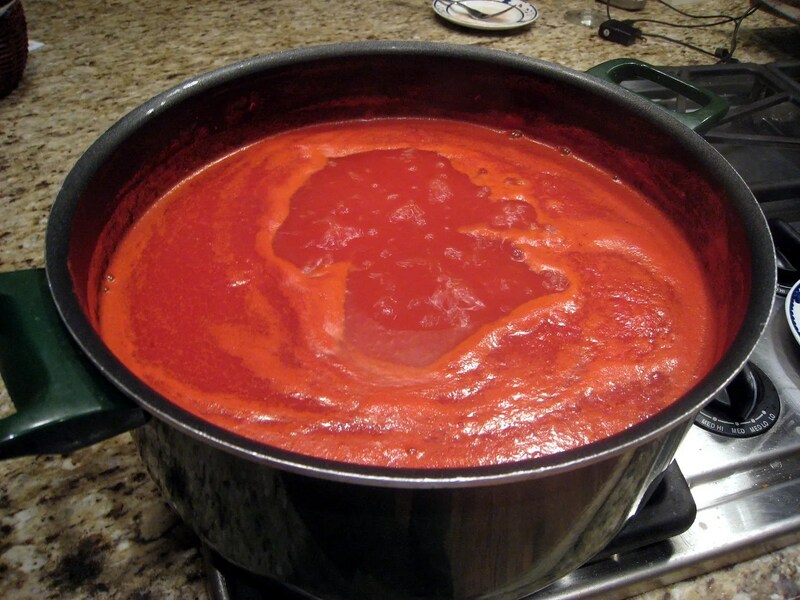 You seem to be drowning in Romas. Have you found any methods to speeding up the processing? 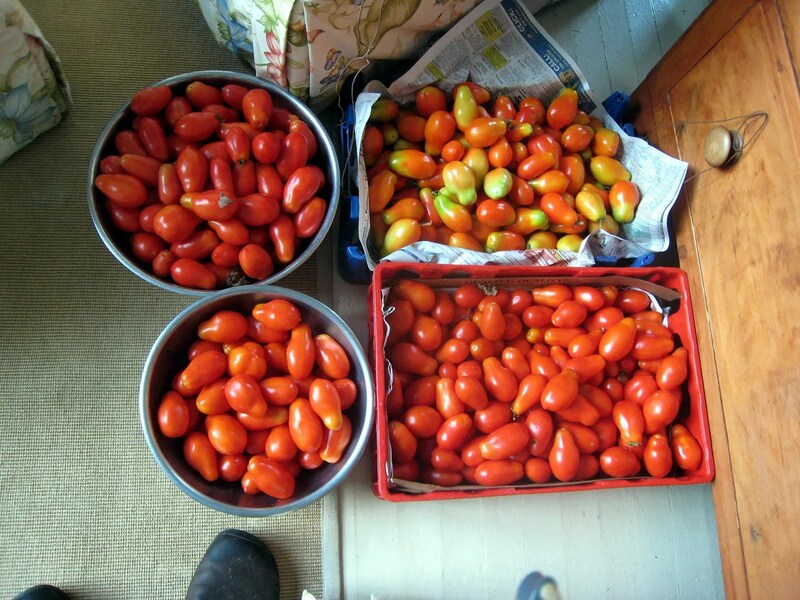 I took a full eight hours last year to process some Romas into four quarts of diced tomatos. *sigh* This year’s harvest is sadly but relief-full-ly smaller (excuse the late-night creative word creating). Last year i did the Mike McGrath method and it was time consuming. This year I purchased a Victorio vegetable press and it speeds things up by 4 or 5 fold. I’m learning as I go and after about 10 large batches over two seasons I’ve been getting more efficient.